Ceriatone's delightful tributes to the amazing HiWatt amplifiers. The Ceriatone Custom built HeyWhat?! 103 is the tribute to the amazing Hiwatt 100 Watt Head, th.. This is Ceriatone's Custom built tribute to the 50-watt Hiwatt 504 boutique guitar amp. Powerfu.. 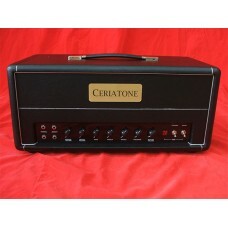 This is Ceriatone's Custom built tribute to this 50-watt version of the Hiwatt (504 OL) boutique gui..